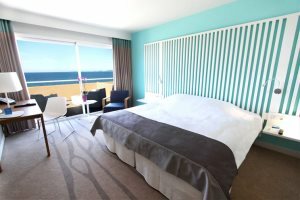 Contemporary and stylish, Radisson Blu Resort & Spa affords stunning views across the gulf of Ajaccio and is perfect for a beach holiday. 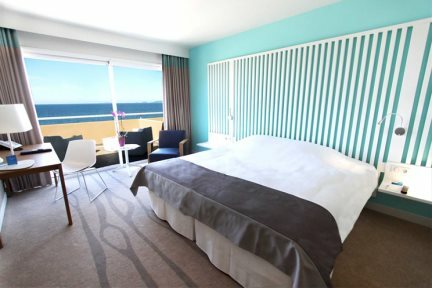 The views across the Bay of Ajaccio are quite spectacular from this contemporary hotel. Clean lines and extremely spacious public areas all add to the elegance and prestige of this stylish hotel. The sizeable rooms and suites are extremely comfortable and well equipped with air-conditioning and a private sea facing balcony from where you can watch the sun go down across the bay's aquamarine waters. The same stunning view can be admired from the restaurant and the chic lounge bar, as well as the large infinity swimming pool with its pool bar serving snacks, ice creams and cocktails. The restaurant serves nouvelle cuisine and the half board option includes an excellent choice from the buffet or à la carte menus. In July and August, families can make use of the kid’s club (ages 4 to 12) and the children’s pool. 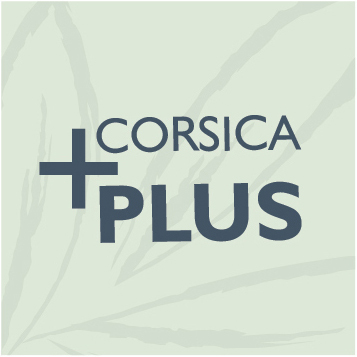 The spa facilities are some of the best in Corsica and the sweeping crescent of golden sand is quite simply a stone’s throw from the hotel. Swimming pool (75m x 15m, max depth 1.9m), pool bar, restaurant, bar lounge with occasional live music, spa (payable locally), complimentary kids' club in July and August with kids' pool, conference rooms, boutique, Wi-Fi. En-suite bath or shower room with wc, television, telephone, minibar, tea and coffee making facilities, Wi-Fi, air-conditioning, balcony. 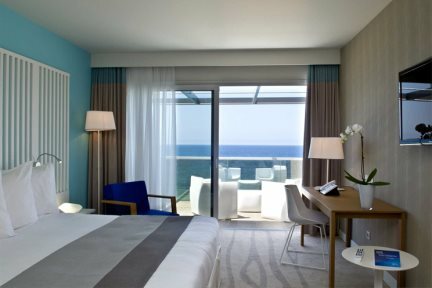 The Junior Suites are approximately 35m² and feature a small lounge area equipped with a sofa bed, a spacious terrace with views of the bay and an en-suite shower with wc. 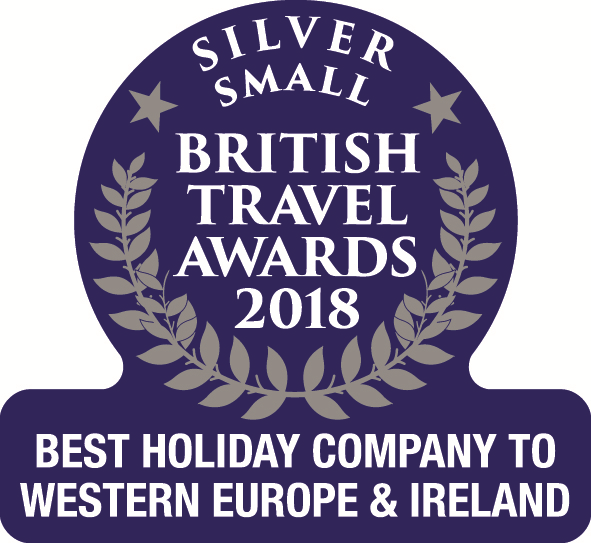 They are also furnished with two LCD televisions with on-demand movies, a daily newspaper, bathrobe, slippers, espresso machine and complimentary use of the spa facilities. 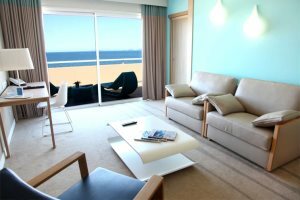 The Suites are approximately 52m² and feature a lounge area equipped with sofa beds, a spacious terrace with views of the bay and sunbeds plus a separate bedroom. Facilities include LCD-television with on-demand movies, a daily newspaper, bathrobe, slippers, espresso machine, an en-suite bathroom with shower, whirlpool bath and separate wc plus complimentary use of the spa facilities. Sleep up to 4.